I’m sure you are wondering if I am just one sandwich short of a picnic based on my subject, but each word is a topic for my garden. Let’s start with scapes. 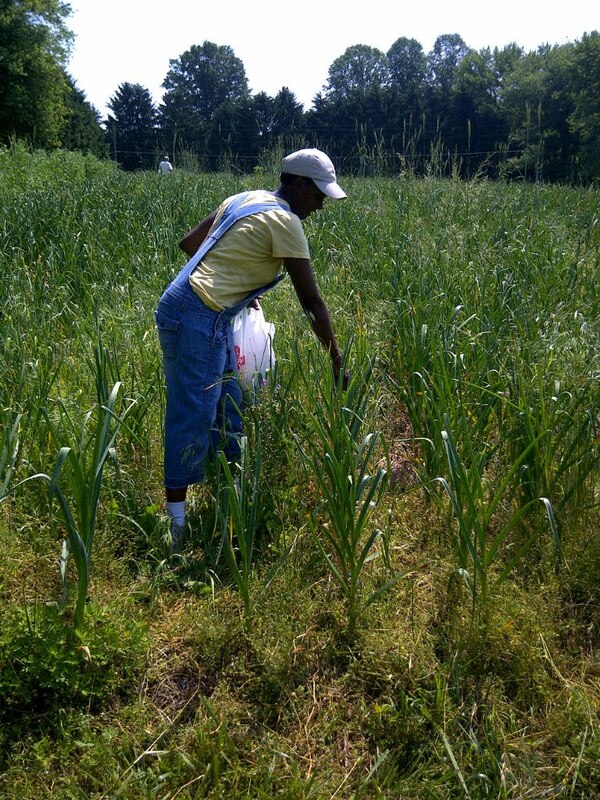 So I am learning a lot in the Maryland New Farmer Trainee program. It’s a lot of hard work, but what I am learning really can’t have a value placed on it. 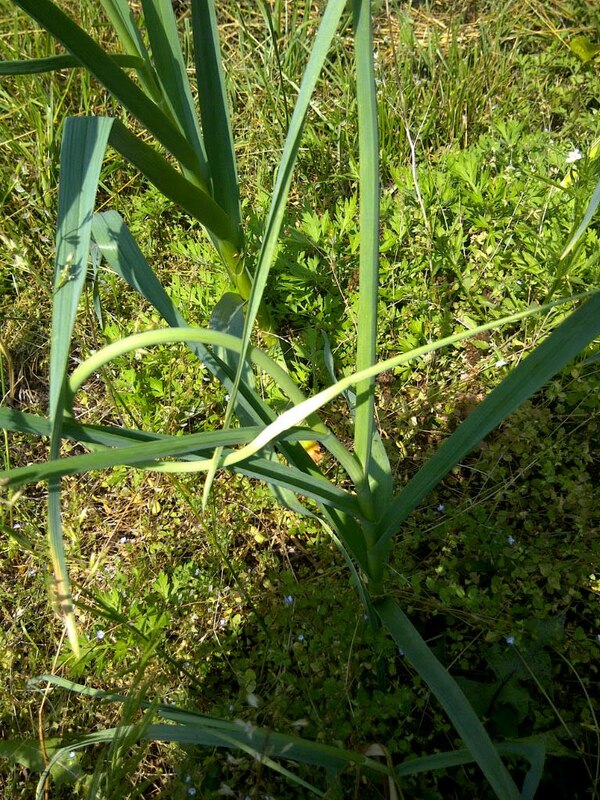 Okay, so hard neck varieties of garlic produce scapes, which are flower shoots. They start out growing straight up. When they have totally curled, they can be picked. These things are DELICIOUS! 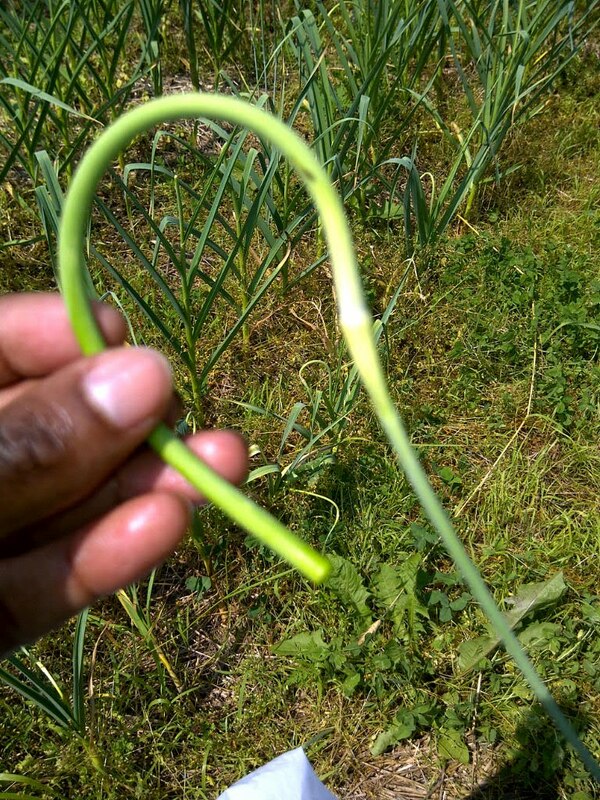 When you pick them, if you put your finger on the end and taste the juice…of course, it’s garlic-flavored! Amazing! You can make a pesto with them, or cut them up and put them in eggs, on baked potatoes, whatever you want! Just…ummm….have some tic-tacs on hand. I ate several on the farm and when hubby came home and gave me a kiss he said “wow…you’ve been eating garlic!” But I digress. Next topic…snakes. Let’s just get this over with. So I went to my big garden to water it and was happily walking along looking at my plants and admiring how much they’ve grown. I notice this awful SMELL like putrid dead flesh. “Maybe Lauren and Kevin put manure down in their garden,” I think to myself. I continue walking along…in my FLIP-FLOPS…no didn’t have on my muck boots…I wanted to feel the dirt on my feet….mistake. I go to kick what I think is oh just some stick out of the way. It’s a dead snake. My brain registers this slowly and then…wait…that’s a SNAKE! I think it touched my foot! Flip flops go one way I head the other. Oh the screams that could be heard all over Maryland I’m sure. OK…and one, JUST ONE bad word. 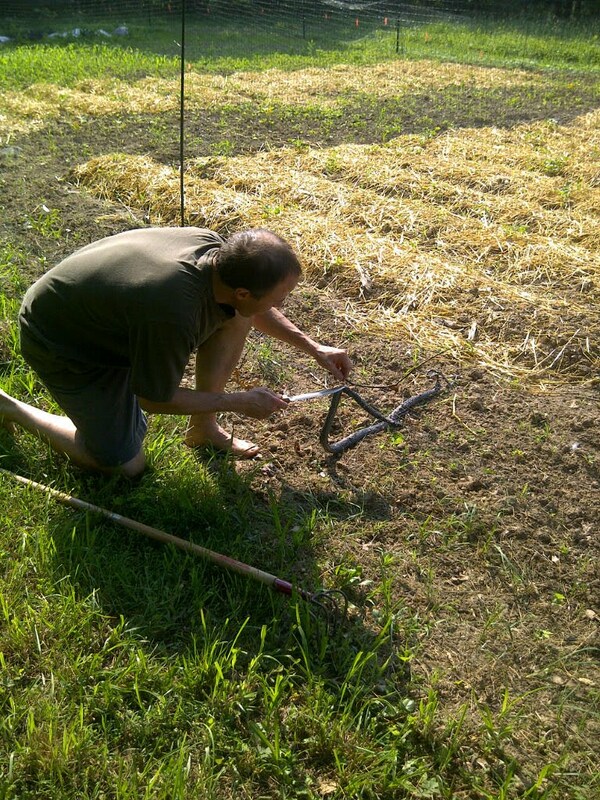 I try to regroup…plug in my sprinkler and then give the dead snake (it got caught in the deer netting around the garden) a wide birth as I go to turn on the water. Kevin, who rents the house on the land I am farming comes out to say hello, and I tell him the deal. Will DivaGardener EVER go back in the garden in flip flops? I think we all know the answer to that question. OK…on to better things. My peaches. It seems some sort of bug is getting to some of my peaches. They haven’t all been infected yet so I bought an organic spray specifically for fruit trees and I am going to give it a spray. I need everyone’s garden prayers that all will be well and we will actually eat some peaches this year! Last topic: 130. What in the world, right? Well, while I was in the big garden (and after I recovered from the nasty snake) I counted the number of tomato plants in my garden bed. YES….130! Wow! I didn’t know I had planted that many! I think we’ll definitely have a few tomatoes this year! That number doesn’t include the eight I have growing here at home. ← Tomato Patch: Do Plant Protectors Work? Wow! That's ALOT of tomatoes! Our neighbor uses that netting and has come over to have my husband pull multiple snakes out. Our dog even got bit on the nose because she was too curious to stay away while he was cutting it out of the netting. 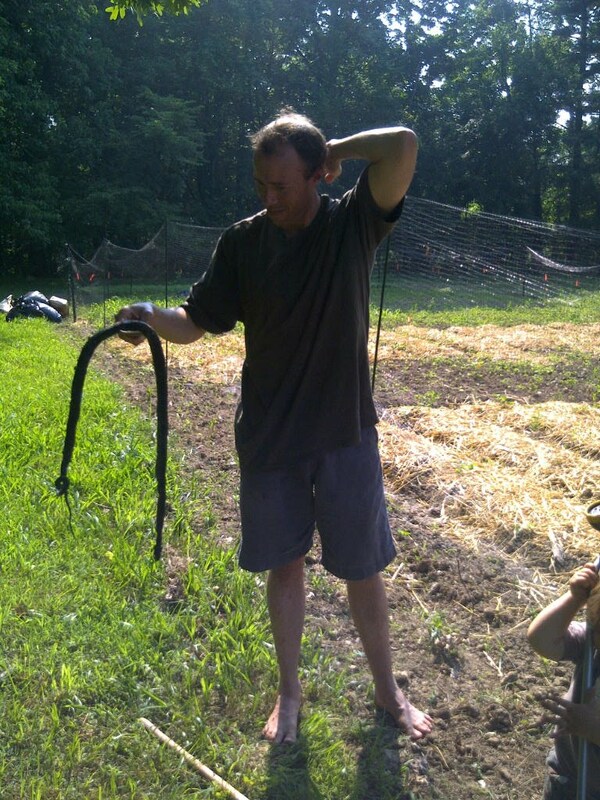 Well…I'm thankful that the snake was dead! I know it was a “good” snake (those two words just don't belong together) but I don't like them at all…good, bad or otherwise. I am going to learn how to can from my neighbor so that I can have fresh maters all through the winter! Was the snake eating the rodents which would have eaten your crop otherwise? Sorry to hear your organic indigenous green pest control passed away.